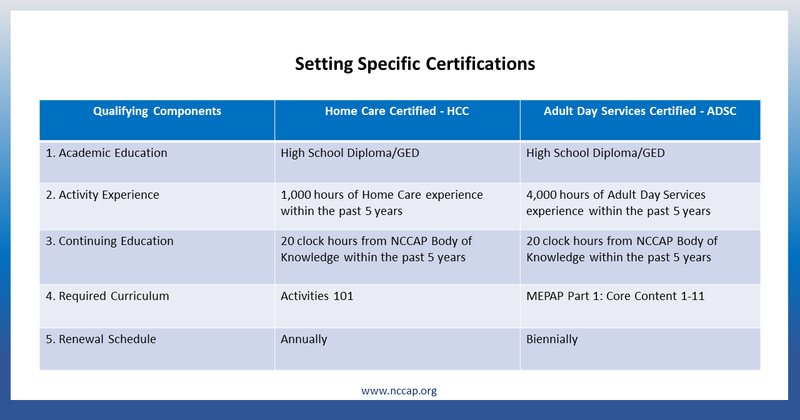 Home Care Certification - This course establishes a baseline knowledge for caregivers. These skills offer the opportunity to improve the daily quality of life of a client or loved one while potentially decreasing the incidents for accidents and dangerous situations that could require they be relocated from home to long-term care. By properly engaging an individual in discussions and activities, the caregiver can prevent boredom, depression, and disengagement. Requires completion of Activities 101 Course.